Back to school season is always a nerve-wracking experience both for parents and teachers as they have to do a lot of preparation. The kids are care-free by nature and they love to learn while playing. It becomes mostly the teacher’s responsibility to give them a good, friendly learning environment where they do not feel pressured. Our surroundings contribute a lot to our learning process. A simple positive poster can make our minds much fresher. If it is a new class, the kids need to feel welcome. There are certain small things a teacher can add to the classroom to make it a fun-loving place for the kids. 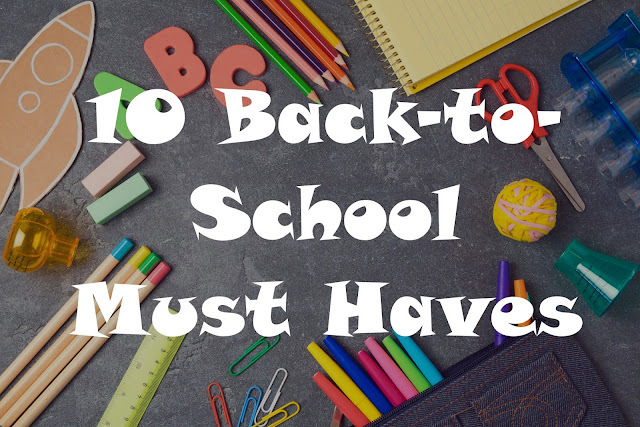 Below are 10 must-have items a new classroom should contain. Number one on the list is posters. Posters are perhaps the first thing the kids are going to notice when they enter the classroom in the first day of school. Adding positive, inspirational quotes would surely make them feel at ease. Some posters teach kids life lessons without any effort from the teacher. This is called smart teaching, where no one has to give effort and the lesson registers in the kids’ minds automatically. Activity books are very important in the classroom. There are tons of options available in the market. As a teacher, you need to choose wisely and have a wide variety of activity books in the classroom. They cannot be boring or only fun books; they need to be a combination of both. Sticker activity books are something the kids really enjoy! It is wise to keep a few sticker activity books in the class. There are also many activity books that teach little kids values, such as the virtue of truthfulness, hard work never goes to waste, negativity is not good, etc. A calendar is a staple in the home, office and even classroom. The calendar should be class appropriate. If the kids are little, a calendar with funny pictures and characters would surely be appealing. Try to choose something that follows the latest trends; this way, the kids may relate to it more. The calendar should be big enough to add any notes or sticky notes because, in a classroom, there are a lot of things the teacher has to keep track of. Adding important notes onto the calendar directly omits the chance of forgetting them later. Sticky notes are essential in the classroom because they can be used to keep track of several things. Using colorful and graffiti sticky notes is fun for the kids too. Glue is absolutely essential in the class as it is required to do different creative projects. For kids, using glue sticks is easier. If you can find a washable version, then keep that in the classroom. Gone are the days of using chalk, blackboard or whiteboard! It is 2018, and now you need to have a dry-erase board in the class to make learning easier and cleaner. Ceiling hangers are must-haves in any classroom, be it for adults or kids. They make decorating the classroom easier. They provide easier access to certain information. They are also great for decorating the classroom on festive occasions. Any classroom would be a wreck if the teacher did not have a file folder organizer. A classroom has so many students, and having a file folder organizer is a must for keeping track of homework, class tests, aptitude tests, etc. . Try to mix and match different colors for easier identification. A desk organizer is another must-have for teachers. No one likes a messy desk where pencils, pens, erasers, markers, notes, clips, scales and other items are placed in a haphazard way. If you keep them organized, you can more easily find what you need in a hurry. Also, keeping your stationery in a desk organizer makes your classroom look clean and beautiful. Nowadays, there are many stylish desk organizers available. A height chart is one of the most interesting things to keep in the classroom. Most households keep a height chart at home for kids. Having one in the classroom is great for children to track how their body changes with time. They enjoy the fact that they are growing and they feel joyous when they share it with other kids in the class. A height chart also works well as a classroom decoration as there are plenty of beautiful options available in the market.